When Jennifer Glezen stepped into her first Future Business Leaders of America meeting two years ago, she could tell there was something different about the club. She’d been in competitive clubs before at Clark, including DECA, Science Olympiad, and Varsity Quiz, but FBLA had something palpably different. 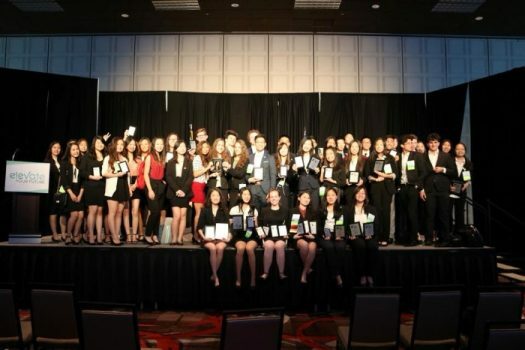 This year, 59 Clark students competed at the Nevada State Business Leadership Conference (NV SLC) in Reno on April 15. The team was led by advisor Mr. Peterson, and Glezen, who served as Clark’s club president this year. Competitors spent three days at the conference putting their business skills to the test, with written examinations, oral presentations, business plans, and even entrepreneurship workshops. Clark’s team had a stunning performance this year, taking a total of thirty-four medals – eleven gold, nine silver, and fourteen bronze – and placed first in the overall state sweepstakes. Junior Katie Wang impressively placed first in two events: individually in Business Communication, and with partner Eric Yuan (11) in Business Information Systems. The future of the team is strong as well. Out of Clark’s total medal count, only three were earned by seniors. The FBLA State Business Leadership Conference also saw the election process of the seven new state FBLA officers. This year, Clark’s Stefan Tomov (12) served as Nevada FBLA’s Southern Region Vice President. He will be preceded next year by Clark junior Olivia Lee, who won the position after an intense application cycle of interviews and speeches. Glezen may be finished leading Clark FBLA, but she is certainly not done with the club. Next year, she will be serving as the Nevada FBLA Vice President of Membership, responsible for community outreach and recruitment.